To progress in your career in Administrative work, gaining a recognised qualification can only improve your chances. Employers look for staff who are motivated to improve their skills and knowledge base and choosing a Global Edulink Diploma in Office Administration will demonstrate your willingness and ability to work to ever-higher standards. Global Edulink is a leading provider of office administration courses and we offer distance learning courses that will fit around your daily life and existing work commitments. Flexible studying opportunities make it easy for you to gain new skills or build on existing skills that will improve your chances of gaining employment or higher pay. – Interested in working as an Office Manager, Office Administrator, Administrative Assistant or Secretary? – Already working in one of these roles but wish to extend your skills in Administration and IT to encompass Human Relations (HR) and Finance responsibilities? – Keen to develop your existing skills in the area of Administration, ICT, Finance or HR? If so, our Diploma in Office Administration distance learning course will provide you with all of the training you need to further your career and is designed especially for those students who would struggle to fit face-to-face learning into their busy lives. This course can also lead to work as a Team Supervisor or Personal Assistant and can lead to specialising in legal or medical secretarial work. To enrol on this course, you do not need any previous experience or qualifications. You must be 17 years old or over, and you will need a basic understanding of English Literacy and Language, Numeracy and ICT. Unit 3: Develop your record keeping, financial and HR skills. – Communicate in a business environment (e.g. through memos, emails, reports and presentations). To help you to maximise your employment prospects, the Diploma will also help you to create an attractive CV, cover letter and personal statement to help you to reach the interview stage of a job application. We will also help you to prepare for job interviews. By the end of your Diploma, your administrative, customer service, ICT, technical writing, finance and HR skills will all have improved and you will have the confidence to seek employment, higher pay or a promotion. 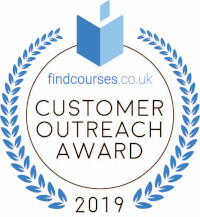 The course is designed to be interesting and interactive, with a supportive team of professionals who deliver an online course that you can access 24 hours a day, 7 days a week, 365 days a year. The course is delivered through professionally-narrated tutorials, interactive quizzes and tests plus a final exam. Step-by-step tutorial videos plus our fully-supportive service will help you to grow in confidence and gain your qualification. The course is assessed online with a final, multiple-choice test, which is marked automatically. You will know instantly whether you have passed the course. Those who pass this test will have the qualification of ‘Diploma in Office Administration’. 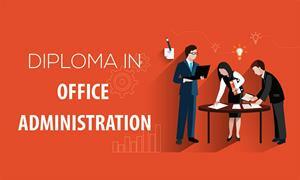 Fill out your details to find out more about Diploma in Office Admin - Online.